What’s The Difference Between Web Design and Web Development? | LunaGraphica, Inc. 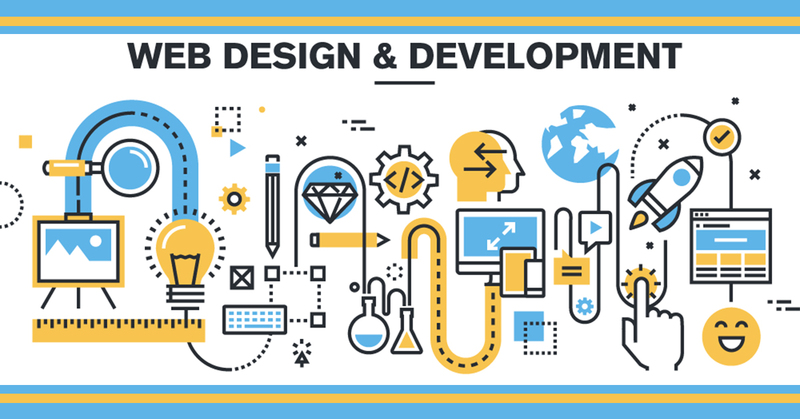 Although there is often overlap in skill sets, web development and web design are two separate jobs that take place to make your website happen when you hire a design firm to build one for you. Depending on the size of the firm you hire, these jobs may be done by two different people on your design team, or by one multitalented individual. Whether the firm you hire has a designer and developer on staff, or someone who fills both needs, knowing the difference can help you understand timelines and the design process overall. We have written previously about what happens when you submit a design request with the intention of giving a broad view of the steps we go through to get your website made; but stopped short of explaining the design and development processes. Let’s dive a little deeper into both to gain an understanding of the differences and similarities. A web designer is the first step in the construction phase of building a website. By the time a designer receives the job most important details have been planned and it is time to start building. The bulk of what a designer does is creative. They will combine all of the elements requested and create a cohesive, well-balanced site that is attractive to your target audience. Designers use software to generate art and typography consistent with the needs of each client. Sometimes clients provide artwork and photography they would like used on the project, and sometimes the designer will generate custom artwork or use stock photography. In any case they will decide which layout and color scheme will work best in combining graphic art and text in the most desirable way. During this part of the process the designer will be in frequent contact with project managers, who in turn provide proofs and progress reports to the client, and give the designer resulting feedback. There can be numerous edits before the client signs off on the design work. This process is repeated for each page of the website. Once this happens the project will be handed off to the developer. A web developer takes the work done by the designer and makes it function like a website should. They use software that allows them to generate code and write script telling each element of the website to do what it needs to do. Menu items in the site’s carefully designed navigation need to lead end users to the appropriate place… links need to be visible, buttons have functions to perform, animations must react to user input properly, videos and/or sound should play at appropriate times. Web developers are the carpenters to the designer’s architecture. At this phase of the project the website will undergo constant testing to make sure each function is working properly and that newly programmed functions have not interfered with those previously coded. The site has to be gone over with a fine-toothed comb to ensure the end result is exactly what the client wants. Most designers have at least basic development skills because development is always a consideration in design function. In kind, developers usually have at least basic knowledge of the design principles and creativity needed to design a website. Medium to large firms usually have designers and developers who work together to create websites, but smaller firms may have one person who does both of these jobs. Independent designers commonly perform both of these jobs as well, but it is important to note that design and development are two different phases of a website build or redesign. At Lunagraphica we are lucky to have designers who are also talented developers, developers who are talented designers, and dedicated developers/designers who are all phenomenal at their jobs. Our team works together closely with clients to help your website visions become reality, and communicating throughout all phases of the process is a big part of what makes LunaGraphica an exceptional design firm. Contact us for an estimate today!